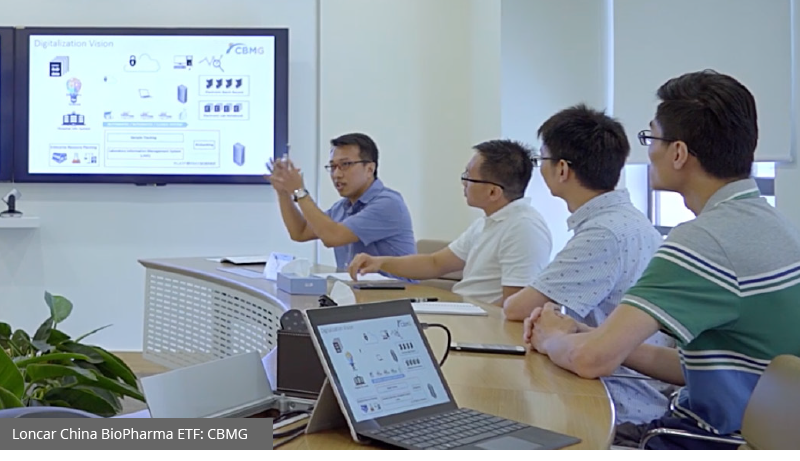 Today we are unveiling the third installment in our China BioPharma ETF (Nasdaq: CHNA) video series. The idea behind this project is to help give you a firsthand look at what the life sciences industry in China is like today. Traveling to China and visiting companies is an awesome experience. Since not everyone has the opportunity, we went there on your behalf and brought back this footage to give you an “on the ground” feel for people and places at the center of it all. Today’s installment was filmed at the Shanghai headquarters of Cellular Biomedicine Group. View all holdings of the CHNA ETF. Cellular Biomedicine Group (CBMG) aims to be a leader in China in cell therapies. Unlike traditional medicines, cell therapies use human cells as the treatment. They are usually engineered to have special features that make them ideal modalities. The practice of this includes the areas of immuno-oncology, gene therapy, and regenerative medicine (stem cell) treatment. It is a big focus in medicine today and cell therapies are already having an impact on certain types of blood cancers and genetically defined diseases. CBMG is focused on bringing this disruptive science to Chinese patients. Included in the video are CEO Tony (Bizuo) Liu, Chairman Terry Belmont, and Strategy Lead, Technical and Manufacturing Robin Ng. One thing you will notice throughout it is the company’s emphasis on building state of the art facilities and having the highest quality standards. Cell therapies are unlike traditional drugs and are typically highly personalized, so investing in manufacturing is key. 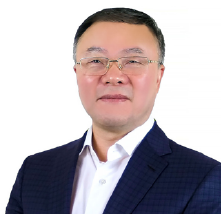 CBMG recognized this early and is the only company in China that has partnered with two of the leading service providers in the cell therapy space, Thermo Fisher Scientific and General Electric. Both companies are helping CBMG build good manufacturing practice (GMP) facilities at its Shanghai headquarters and other locations throughout China. As a sign of how far they have come with manufacturing, in September CBMG signed a licensing and collaboration agreement with Novartis to manufacture the chimeric antigen receptor T-cell (CAR-T) therapy Kymriah in China. Novartis is a CAR-T pioneer, and Kymriah was the first in the world to earn a commercial regulatory approval - by the U.S. FDA in the fall of 2017 for a type of childhood leukemia. It is now also approved for a type of aggressive adult lymphoma. For a leading company like Novartis to partner with CBMG on manufacturing is a testament to the investments the company has made. In addition, Novartis has also purchased $40 million in CBMG stock and now owns approximately 9% of the company. CBMG is also placing a big effort on developing CAR-T products of its own. In fact, the company has already initiated a CAR-T study in China for multiple myeloma utilizing the BCMA antigen. Initial data is expected by the end of 2019. In addition to the BCMA program, CBMG also has plans to have three other CAR-T programs in the clinic this year: 1) CD22 for acute lymphoblastic leukemia (ALL) patients who have relapsed on a CD19 product, 2) CD20 in non-Hodgkin lymphoma (NHL) patients who have relapsed on a CD19 product, and 3) NKG2D for acute myeloid leukemia (AML) patients. There are also plans for a T-cell receptor (TCR) therapy program targeting AFP in liver cancer that will be developed both in the United States and China. In addition to developing CAR-T products, which mostly work in blood cancers currently, CBMG has also licensed from the National Cancer Institute (NCI) in Washington D.C. rights to develop a neoantigen-reactive tumor infiltrating lymphocyte (TIL) technology to treat solid tumors. Whenever you have cancer anywhere in your body, white blood cells (lymphocytes) often attack but are not always strong enough to keep the cancer from growing. The idea behind this type of technology is to biopsy a tumor and then grow the lymphocytes into the billions before re-infusing them back in the patient. This approach has been tested at NCI for over two decades and the technology CBMG has licensed is a next-generation version of it. Lastly, CBMG also hopes be a leader in the practice of regenerative medicine using stem cells. Its most advanced program in this regard is called ALLOJOIN and is being tested for the treatment of knee osteoarthritis. The hope is that the ALLOJOIN cells can help prevent cartilage deterioration and improve pain, stiffness, and functional use of joints. In January of 2019, CBMG received approval to move forward with a phase 2 clinical trial from China’s National Medical Products Administration, the first approval of its kind in China. This illustrates CBMG’s regulatory capabilities within the country. The company believes there are 57 million patients in China who suffer from knee osteoarthritis. In closing, we hope you enjoy the video. It is our pleasure to capture this footage on the ground for you and to tell the stories of the companies CHNA ETF holds. We launched CHNA because we believe there is something special brewing in life sciences in China. Sometimes it is hard to see if you do not have the opportunity to travel there and visit the companies yourself. So we aim to do the next best thing and bring the companies to you. Opinions expressed are those of the author, or Funds and are subject to change, are not intended to be a forecast of future events, a guarantee of future results, nor investment advice. Fund holdings and allocations are subject to change at any time and should not be considered a recommendation to buy or sell any security. General Electric, Novartis, and Thermo Fisher Scientific are not a holding of the Fund or affiliated with the Fund.